Did you know that Hot Springs National Park is the smallest national park in the U.S.? The land was set aside by the government in 1832, making it the oldest federal reserve in the U.S.—predating Yellowstone, which is traditionally known to be the country’s first national park. The town of Hot Springs, Ark. uniquely boasts a colorful history of baseball, gambling, and gangsters—not to mention it’s also the hometown of President Bill Clinton. Whether you take a hike or a soak in a hot spring, there’s sure to be something you’ll find captivating about this historic town. 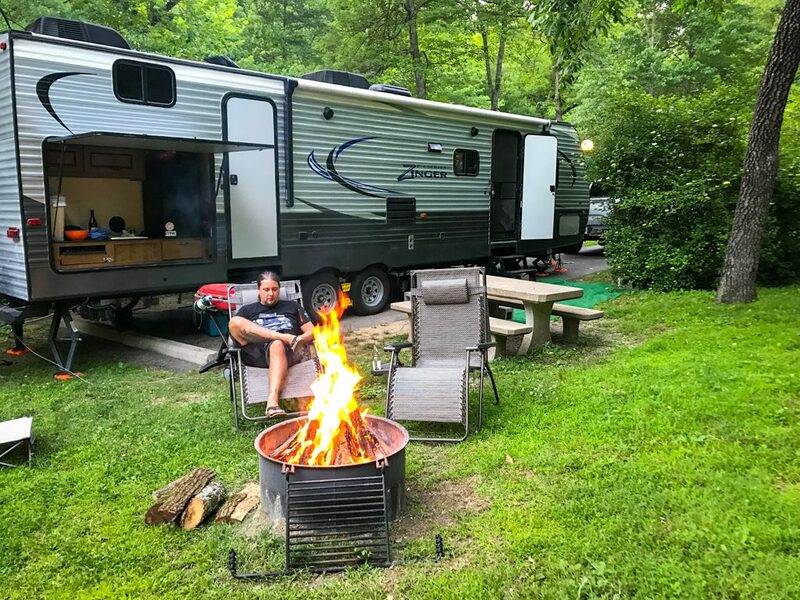 Gulpha Gorge Campground, managed by the National Park Service, has full hookups with both 30- and 50-amp service and features beautiful creekside camping. This campground allows easy access to the trails in Hot Springs NP and you can even take a trail that ends right downtown—talk about convenience. The big gamble you take in coming here is that there’s no reservation system, so it’s first come, first serve. We rolled in on a Sunday, a week before Memorial Day, and pretty much had our pick of spots. 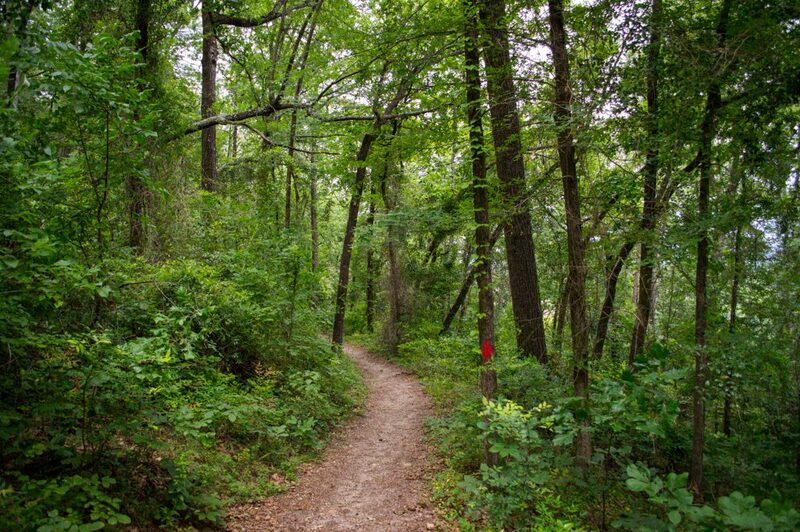 The park has 26 miles of hiking trails, some of which, as mentioned, can be accessed directly from the Gulpha Gorge campground. We highly recommend the 9-mile Sunset Trail which starts at the campground and makes its way around most of the park, ending at the West Mountain Summit. You can also hike or drive up to the Mountain Tower, which provides 360 degree views of the surrounding area. 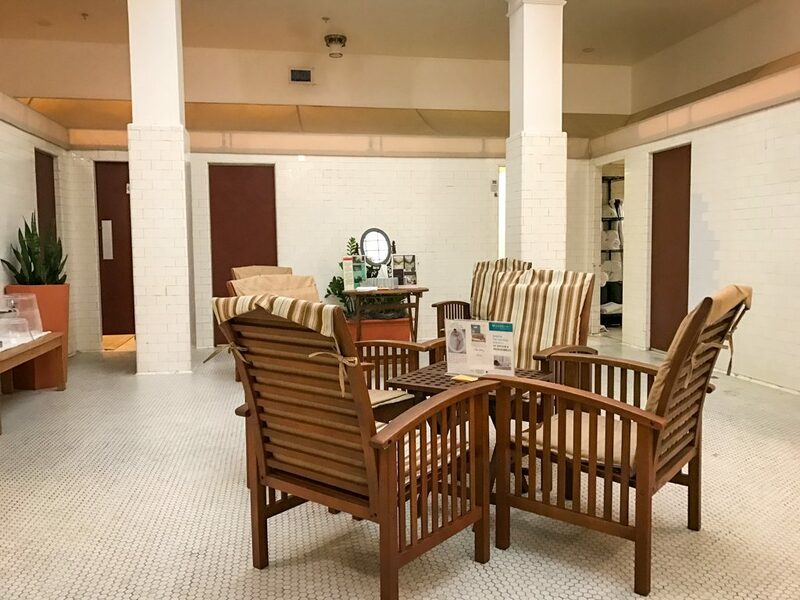 There are two functioning bathhouses—Buckstaff and Quapaw—on the historical Bathhouse Row. The soaking pools at both locations are filled with thermal water sourced directly from the hot springs. You can choose to take a public bath in a large pool, or get a private bath for two. You can also book massages, foot scrubs, facials, and full body masks. Unfortunately, the only way to enjoy a soak in the hot springs is through the private bathhouses—for a fee. Located inside the old Superior Bathhouse is a brewery that uses the thermal spring water to make beer. 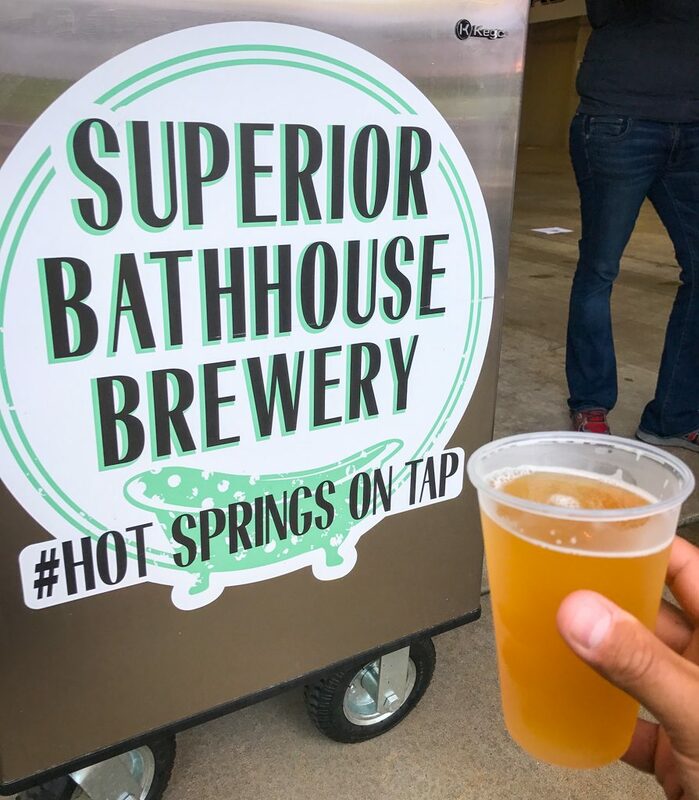 Superior Bathhouse Brewery is the only brewery inside a National Park and the world’s first to use the natural spring water as their main ingredient. They have a tasting room and full service restaurant, so be sure to add a stop to your itinerary. Party like a mobster at the Ohio Club. 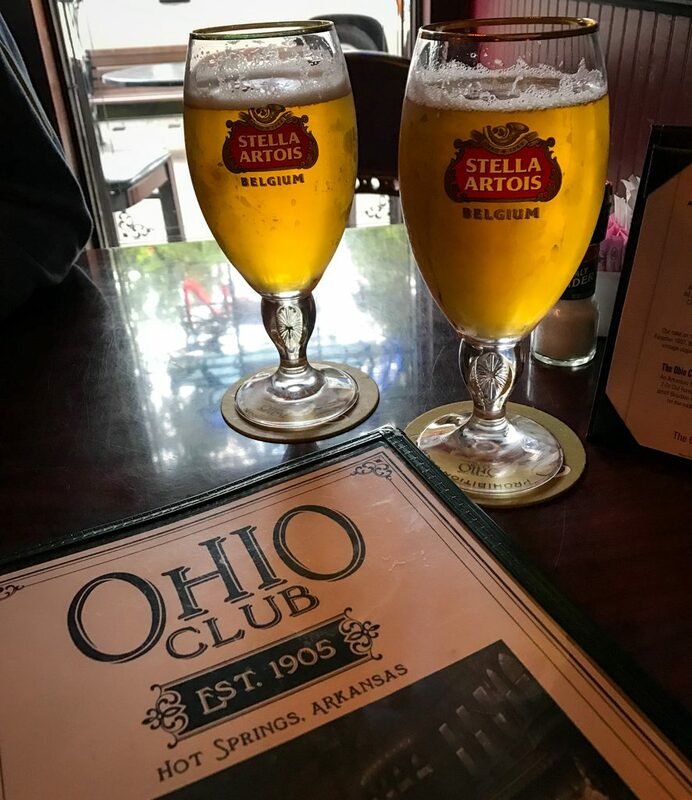 Arkansas’ oldest bar, the Ohio Club, opened in 1905 serving baseball legends like Babe Ruth and mobsters like Al Capone and Bugsy Segel. During Prohibition in the 1920s, the club turned into a speakeasy with a cigar storefront. At the entrance, you can still see the markings where the false wall was built on the tile floor. Today, the Ohio Club still offers live jazz and blues performances. Pop in for a drink or for dinner and ask one of the bartenders to tell you more about this bar’s unique history. If you’re lucky enough to catch the Running of the Tubs, consider yourself in for a treat! 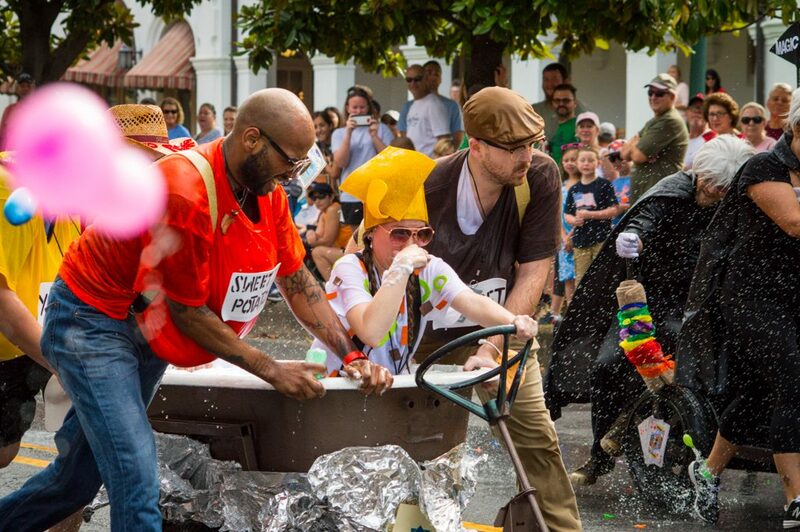 Teams dress up and decorate a bathtub on wheels—yes, you read that correctly—and race the tubs for the honor of snagging the World Champion title. The race brings out the entire town to watch, with spectators lining the main street on Bathhouse Row. Armed with water balloons and water guns, spectators await the teams to race by with their bathtub. The rules of the race are that: a) the bathtubs must be filled with water when they begin the race, however a lot of the water spills out and b) in order to be crowned champion, they must have a certain amount of water still inside the tub when they cross the line. Luckily, spectators will pelt them with water to help fill the tubs up as they race for the finish. It is truly a one of a kind experience and if you are lucky enough to witness it, you won’t be disappointed. The next race is on June 1, 2019. Rent the perfect RV today and go see the town of Hot Spring, Ark. for yourself. 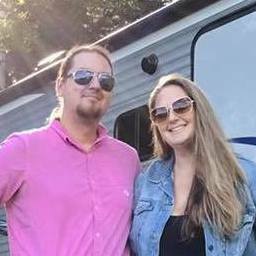 Some of the top RV rentals in Arkansas can be found on Outdoorsy.